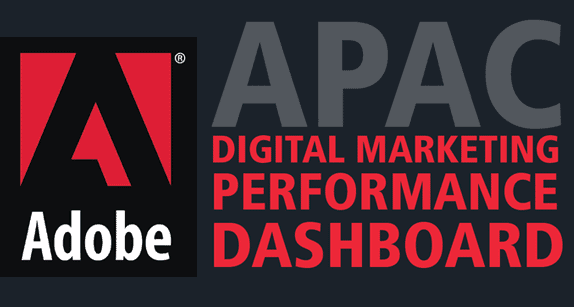 Adobe and CMO Council conducted a new research in order to measure the digital marketing performance of various countries based on four key parameters that are mindset, marketing readiness, marketing skills and organizational alignment. 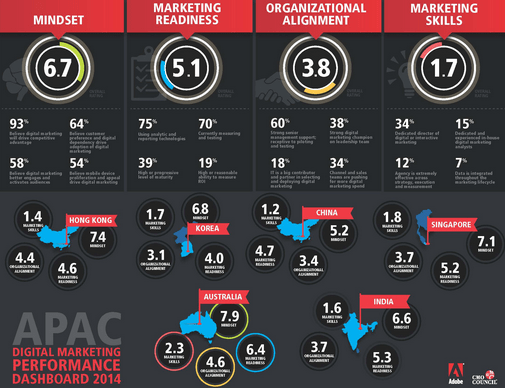 As per the report that was generated based on the study India is among the tops the chart when it comes to digital marketing performance in the APAC region after Australia. The study found that the digital marketing performance of India is almost equivalent to that of APAC average, especially across marketing skills, organizational skills and mindset however it is quite ahead in marketing readiness. “India is going through the same stage of advancement that was noticed in mature markets like Australia and North America a while back. We expect that India’s leadership in digital marketing will only get stronger from here and will enter the next phase of digital advancement.” says Umang Bedi, Managing Director – South Asia, Adobe. It was found that 96% of the Indian marketers believe that digital marketing has a great potential to drive competitive advantage and that the country leads in terms of the confidence in digital marketing as a driver of competitive advantage . According to the report, majority of Indian marketers believe that the main reason behind the digital success in India is the ever-growing internet population (70% in India vs. 59% in APAC), however, they still need to work upon activation of audiences through digital marketing and the customer engagement. “Customer preference and digital dependence would increase along with the increase in penetration of internet in the Indian market. Therefore, what would matter is how the Indian marketers are able to increase engagement and activate audience through digital marketing. This presents challenges in program planning, execution and most importantly measurement”, says Bedi. A number of studies in the past have shown that the lack of relevant skills has made the Indian marketers to have a low confidence in understanding of ROI still they have more confidence than their APAC counterparts overall when it comes to the marketing maturity . While 58% Indian marketers feels that they are progressive in marketing maturity, only 35% marketers in APAC feel the same. The number of marketers in India using analytics and measurement technologies has increased considerably proving the value of digital. “Marketers are measuring more than ever. However the value of digital and data can be demonstrated by using it to create differentiated advantage and driving connected relationship strategy for the business,” says Bedi. However, there is still a big talent gap that continues to challenge marketers in the country. Talking about having dedicated and experienced in-house digital marketing analysts, India with 30% leads in numbers as compared to APAC. Still, the country requires better progress to narrow the gaps in skills and talent. “Data is the backbone for business and marketers, and India has the potential to be the center-of-excellence for data. We’ve got a big opportunity ahead of us and organizations need to act fast and invest in skills development,” says Bedi.